Chelsea are now considered the outsiders for the top-four after their latest defeat at Everton. Maurizio Sarri’s side were beaten 2-0 at Everton, which leaves them in sixth – three points adrift of Arsenal in third. The under-pressure Italian, admits that a top-four finish will be ‘hard’ for his side. “If you are asking me about the top four I would say it depends on whether you are speaking about the first half or the second. Bookmakers now make North London rivals Tottenham and Arsenal the odds-on favourites to make up the top-four along with Manchester City and Liverpool. Betway’s Alan Alger said: “The loss to Everton is another poor result for Chelsea that pegs them back in their pursuit of Champions League football. 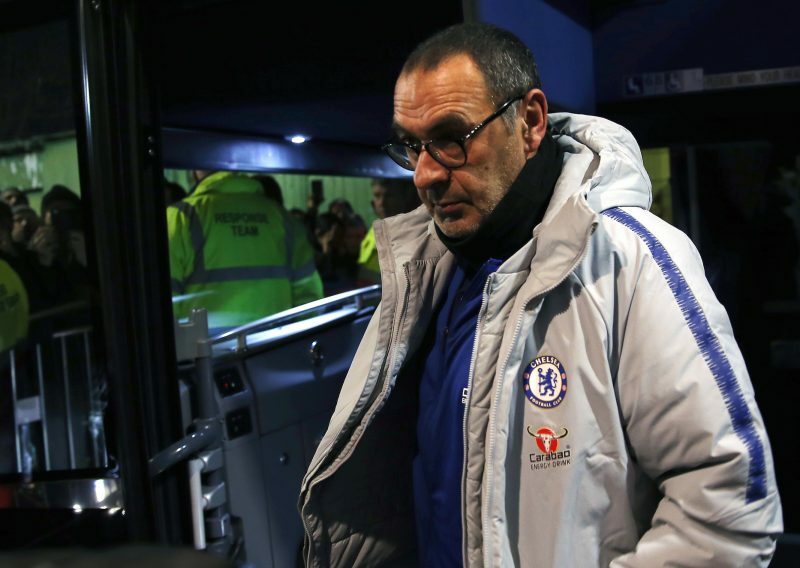 Maurizio Sarri’s men are out to 15/8 from 10/11 for a top four finish, while Spurs, 1/2, Arsenal, 8/13, and Manchester United, 5/4, have all shortened.